I've been accessing a web site that uses Adobe Flash. From a Windows 2012 Server using Internet Explorer, however, it always asks me to install Flash. No matter how many times I install Flash, I'm constantly told that Flash is not installed and prompted to install it again. The Flash content never displays. From searching the web, everything I found talked about enabling the "Shockwave Flash Object" under "Manage Add-ons". However, I never even see the Shockwave Flash Object under Manage Add-ons, regardless of the number of times I've uninstalled and re-installed Flash. I finally figured out the answer. By default Windows Server 2012 does not allow you to use "consumer" level features like Flash. Flash is installed but disabled, and there is no way to enable it without installing the "Desktop Experience" feature. Servers are intended to use a web browser for setup of the system, but not for consumer level things like Flash. You have to install the consumer level features on your server. 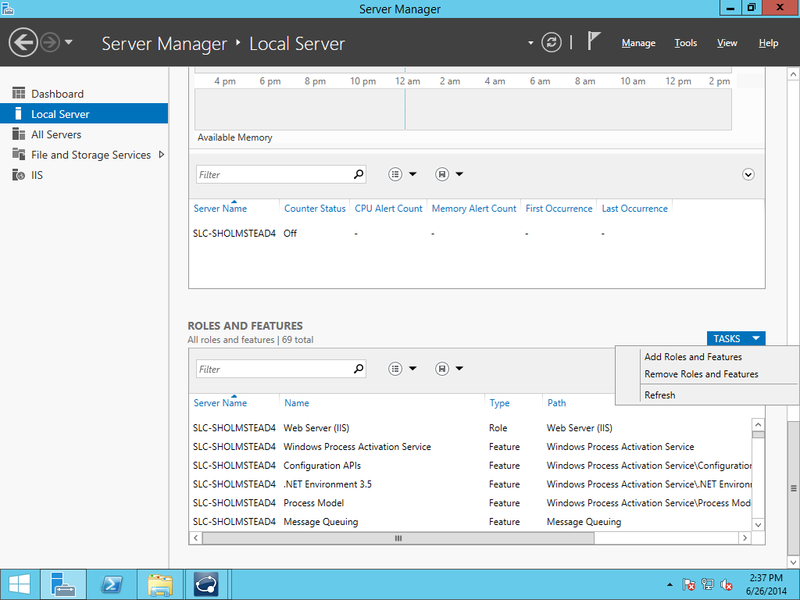 To fix this, run Server Manager on your Windows Server 2012 machine. Select Local Server and scroll to the bottom in the “Roles and Features” section. In the upper right corner select Tasks > Add roles and features. Press Next through the screens until you get to “Features”. Scroll down to the bottom and open up “User Interfaces and Infrastructure”. You will have 2 of 3 installed. The missing one is “Desktop Experience”. Check “Desktop Experience” and press Next until you are finished. Then reboot your server. 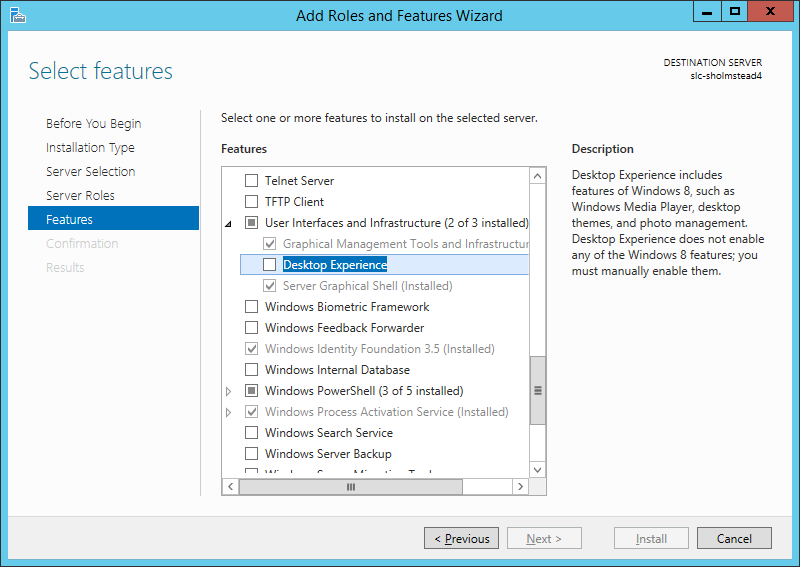 Flash should now be enabled, and you will see "Shockwave Flash Object" in the "Manage Add-ons" dialog.